Logins this hour: 1256 ? Right-click on the blue highlighter icon in the toolbar at the top, or on a specific cell within the schedule. Select holes to find the unfilled shifts. 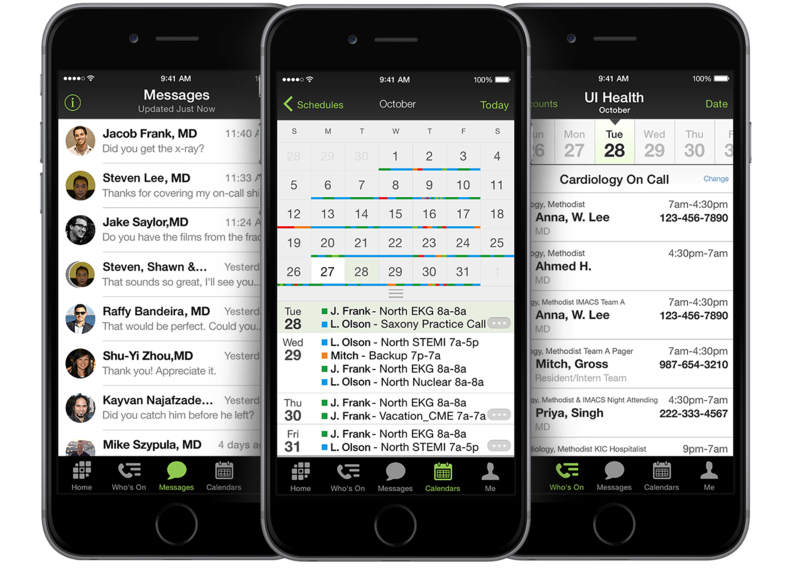 OnCall will highlight empty shifts in calendar and table view. Select day & row to highlight the entire row and column of the assignment. The day/row highlighter works in all table views including tallies. 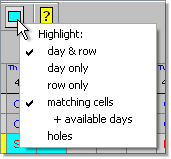 Highlight availability for Attending-style schedules by selecting Matching cells and + available days. Small highlights show shifts that a provider is available to work. Highlight two staff in an attending style schedule at the same time by holding the ALT key and selecting a name inside the schedule. You should get a soft red shading. You can then select another name to use the standard aqua blue highlighter. To turn off the 2nd red shade highlighter, repeat the same steps of turning it on. *If you're working on a Mac, hold the Command key (rather than the ALT key) to activate the second highlight feature. Here we discuss highlight. This page describes match. Here we discuss available days.